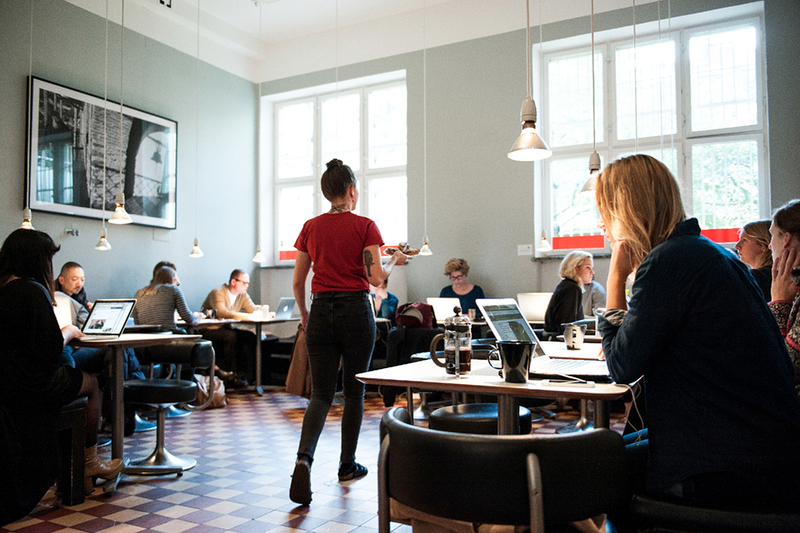 Best coffee shops to work at in Stockholm — hello GETAWAY! When working or studying we want to spend the day in an inspiring environment. Below you will find our best oasis's suited for this in Stockholm. Spots with good coffee, good ambience and wifi. AMBIENCE: relaxed, mostly people coming in for a quick coffee stop. Good window seats. BEST TREAT TO ORDER: A toast, either with chanterelles or camembert and cloudberries. Or the Swedish phenomenon "7 kind of cookies" that are served in the bar. AMBIENCE: this is a place where you can pay an amount to be able to use quiet telephone rooms and meeting rooms. But you can also go there just to have a coffee or a lunch. A great place to sit and work. A lot of young entrepreneurs. Power outlets at almost every seat. BEST TREAT TO ORDER: The cinnamon and cardamom buns! yum! AMBIENCE: Young professionals. You can either just have a fika here, buy some coffee beans or accessories or pay a small amount for using work areas, conference rooms, printers and scanners with an unlimited pour of coffee. AMBIENCE: trendy. Loud and crowded during lunch hours.